Using a number of single lane transport modules in parallel to form double array of transport, then driving by tractor in full-trailer. This way can reuse the common transport module, and is strong expansion, no need to investment again. But it is powerless for those special cargo or extreme road conditions. Using two lane trailers being specially designed and driving by the tractor in the way of full-trailer or semi-trailer. Because it is designed for two lane, there will be some targeted design optimization, such as kerb mass of trailer is relatively light. 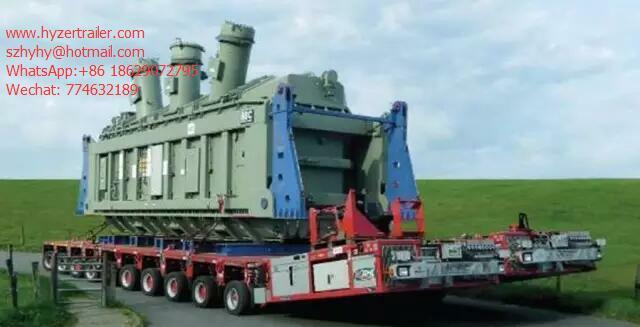 However, it can only be used for two lane transport and scope of application is limited. 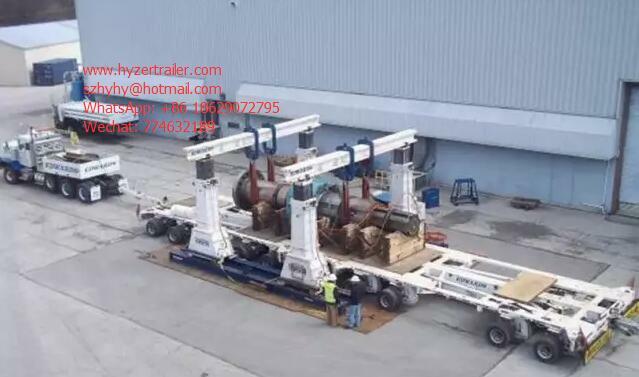 Trailer adopts split type structure. Using bridge special adaptor between front and rear trailer, or directly across the cargo, occupying two lane, also driving by tractor. Split type structure is helpful for steering and is suitable over length cargo. 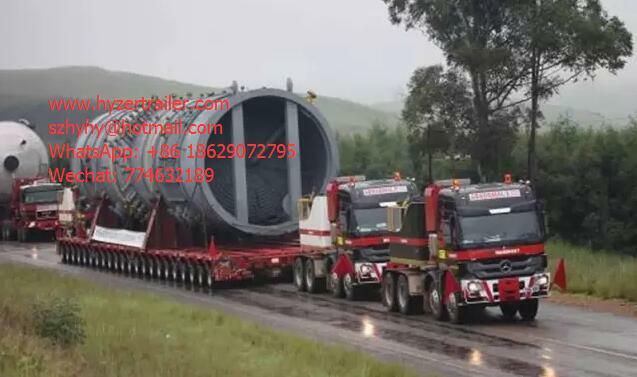 Intermediate bridge adaptor can also play the role of rapid loading and unloading of goods and reduce total transport height. The parallel way of self propelled module transport. Its characteristics are strong loading capacity, flexible steering control, good expansibility and so on. However, its speed is slow and is not suitable for long distance transport. These schemes have their own characteristics, and each has its own applicable occasions.